Hemoglobin is a complex protein compound, one of the constituent parts of a red blood. Hemoglobin is responsible for transporting oxygen to all organs. Because of this important function of the substance, it is necessary to monitor its performance and in case of deviation from the norm to take certain actions. The normal hemoglobin is an indicator of the level of iron content in the blood. The molecule of this substance contains iron and is of complex proteins. Producing the oxygen supply to the cells, hemoglobin removes from them carbon dioxide. There are different standards of hemoglobin for children, men and women. So, in newborns, normal levels of hemoglobin is 145-225 g/l, then these numbers are gradually reduced and by the year amount of 105 g/l to 145 g/l. Then again there is a slight increase from 3 to 6 years is the norm 110-150 g/l, from 7 to 16 years – 115-150 g/l 16-18 years 120 to 160 g/L. Normal rate of hemoglobin in women is the level from 120 to 160 g/L. It may slightly fluctuate in connection with the menstrual cycle. This is due to blood loss during menstruation, and hormonal changes. The numbers of hemoglobin in the range 110-120 g/l in the blood of talking about the intermediate state between sickness and health. Hemoglobin level below 110 g/l in the blood of women is considered low and is regarded as anemia. During pregnancy, some physiological processes occurring in the body during this period, normal rates of hemoglobin are 110-150 g/L. Normal figures of hemoglobin in the blood in men are considered to be numbers from 130 to 170 g/l haemoglobin below 130 g/l men is put the diagnosis as anemia. 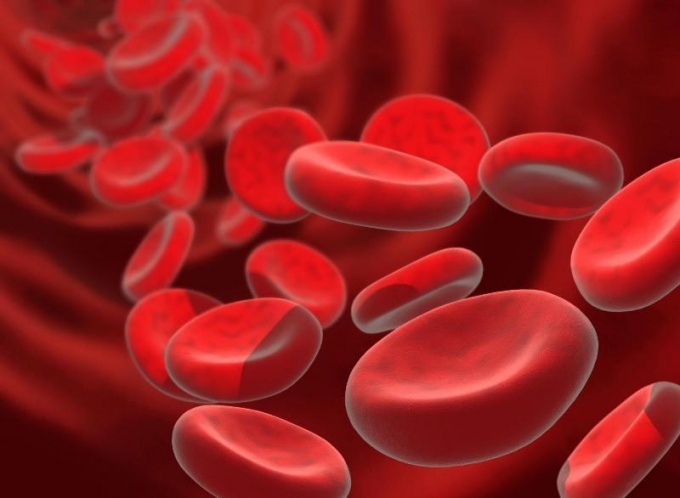 Increasing the level of hemoglobin in the blood above the norm can also indicate different diseases: polycythemia, dehydration, aritmii, abuse of nicotine, excessive exercise, etc. To know the content of hemoglobin in blood, passing a simple blood test. If you suffer from frequent headaches, dizziness, General weakness, you have a poor appetite, increased pallor of the skin, check the level of hemoglobin in the blood, as all these phenomena commonly occur with iron-deficiency anemia.